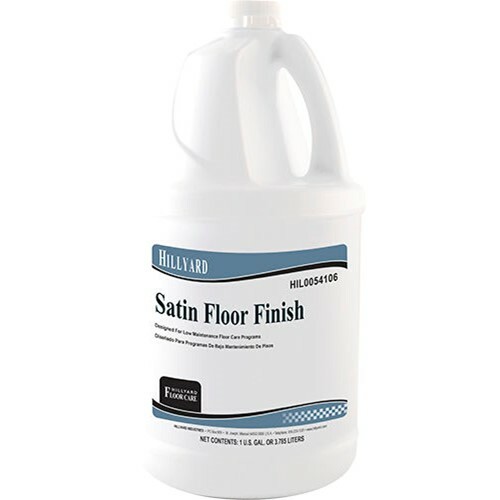 Hillyard Satin Floor Finish is a special low gloss floor coating. It lowers the cost of cleaning by lowering the frequency of cleaning. It provides excellent resistance to black marks, scuffs, scratches, and heel marks. No buffing is required or desired. Once your floors are coated with Satin Floor Finish, you will find daily and weekly maintenance much easier. Just damp mop or autoscrub.